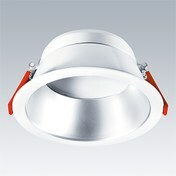 Pioneering applications need the right lighting concepts. 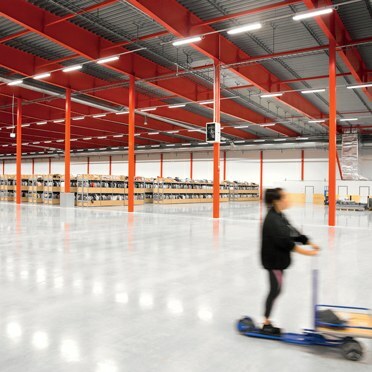 With this approach clearly in mind, Thorn was chosen to provide solutions tailored to suit the different functions within the new distribution centre and its surroundings. Given the boom in online shopping, it is little surprise that almost a third of all retail purchases in Sweden are made on the internet. In line with this trend, Boozt Fashion has achieved annual sales of SEK 1 billion to become one of the fastest growing online shops in Scandanavia. Having assessed the needs of areas such as the warehouse, the cargo areas and the offices, lighting designer Hans Wihlborg from Helsinborg-based HEL consultants selected a basket of Thorn solutions to provide the optimal blend of effectiveness and efficiency. 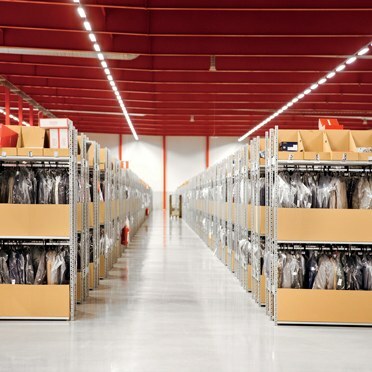 The extensive warehouse features 1250 luminaires from the high performance industrial LED luminaire Top Indus. The luminaire does not only offer easy installation through the hatch on the side but also offers the flexibility of surface mounting on to the ceiling or quick-lock wire suspension. Chalice LED downlights create a comfortable environment around the office space, which covers more than 1500 square metres. Thanks to the wide range of lumen packages, Chalice LED can be installed throughout the different areas, catering to the diverse requirements of the offices, corridors and staircases. Good working conditions are created with the Beta panel, which ensures a uniform and glare free illumination around the checkout area. 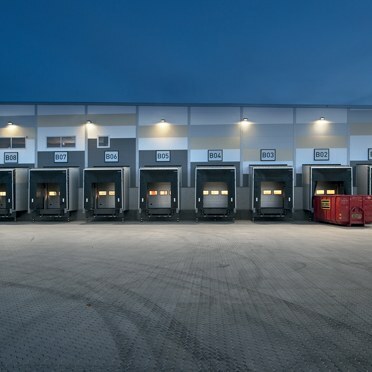 Stepping outside, wide beam versions of the German Design Award-winning CiviTEQ LED lantern illuminate the parking area, while Areaflood LED floodlights provide effective lighting for the various loading bays. Areaflood’s superior optical performance and control of minimal spill light ensure comfort while loading during darkness. 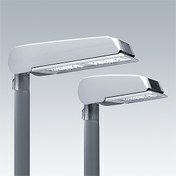 The Adelie and Avenue Deco LED bollards around the entrance complement the look and efficiency of the overall concept. The façade lighting represented a special challenge. 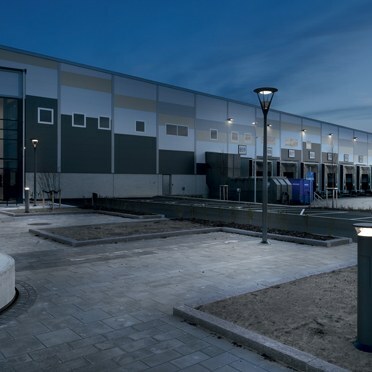 Given the size of the building, the proximity to a nearby main road and the need to consider aspects such as light pollution and energy consumption, lighting designer Hans Wihlborg used SKENA wall-mounted luminaires from Zumtobel to create a subtle starry night effect. From a brand perspective, the combination of products from Thorn and Zumtobel further underlines the collective strength of the Zumtobel Group. 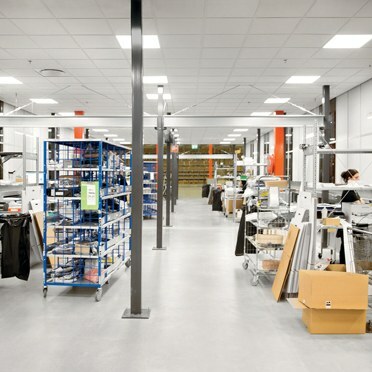 The new Boozt Fulfilment Centre is part of E-CITY Engelholm. The goals of this initiative, with an investment of over SEK 500 million, are to gain Green Building status and achieve an average energy consumption of just 13 kWh per square metre – well below the 50 kWh recommendation set by Boverket, the Swedish board of housing, building and planning.